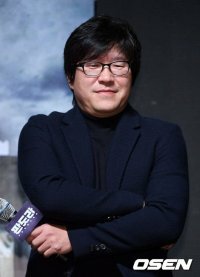 Director PARK Jeong-woo began his career as a scriptwriter for box office hits such as < Attack The Gas Station >, < Break Out >, < Kick the Moon >, and < Jail Breakers >. His sharp-witted and socially expressive scripts impressed audiences and their financial success allowed him to work on ever larger projects. His upcoming project < Big Bang > is about the deviation from an established and stifling social rule, and has his characteristic wit and biting depiction of society. Like all his previous works, < Big Bang > is one of the finest social satires and one of the most spectacular films ever.